Animal print bedding is exactly what your bedroom needs to induce that animal passion in your life. Slither beneath the sheets with our snakeskin patterns and lay your head on the heaving side of a tiger as you fall asleep. Curl up beneath the feathers of the majestic peacock and keep things classy with leopard print pulled up under your chin. No matter your animal preferences, you can walk on the wild side with our animal print bedding. But don't feel collared by the styles we offer: you can pick your own customization options that will put the leash in your hands. Change the color of tiger stripes and cheetah spots. Sap the color from a giraffe print and add your name below to personalize to your animal heart's content. 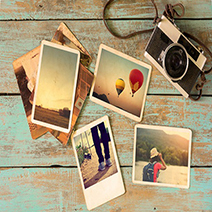 Even take your own animal print photographs and use them on our products. With VisionBedding's animal print bedding you can add a jungle flair to any part of your bedroom. Try a comforter with a striking snake along with bed sheets as colorful as a zebra dipped in neon paint. Our duvet covers and pillowcases are striking as a hunting leopard, and look like one too! With all of these animal-themed options at sizes ranging from Twin to King, you can be the King of the Jungle in your own home. Our animal print designs work as themes in any bedroom in your house. If it is a snake theme you want, then try a variety of our snakeskin patterns until you're sleeping in a herpetarium. 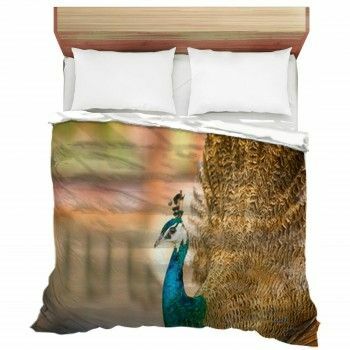 Birds of a feather will flock to your peacock themed bedroom if you try for that theme. You might even add a few animal print rugs to really bring out a jungle-space. Not every animal lover is a child, and we know that the love of the natural world does not evaporate in adulthood. Let your true interests fly free by picking the prints of your favorite animal to decorate your bedroom. Let out your inner animal every time you go to bed!